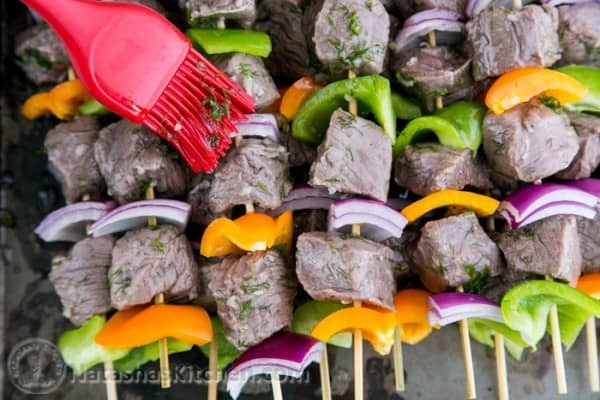 Beef Kebabs (or Shish kebabs) are a very important food and specialty of the Slavic people, but it’s not just limited to beef. 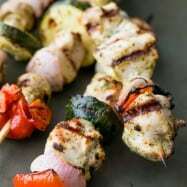 Lamb, pork , chicken and even veggie kabobs are often on the menu! 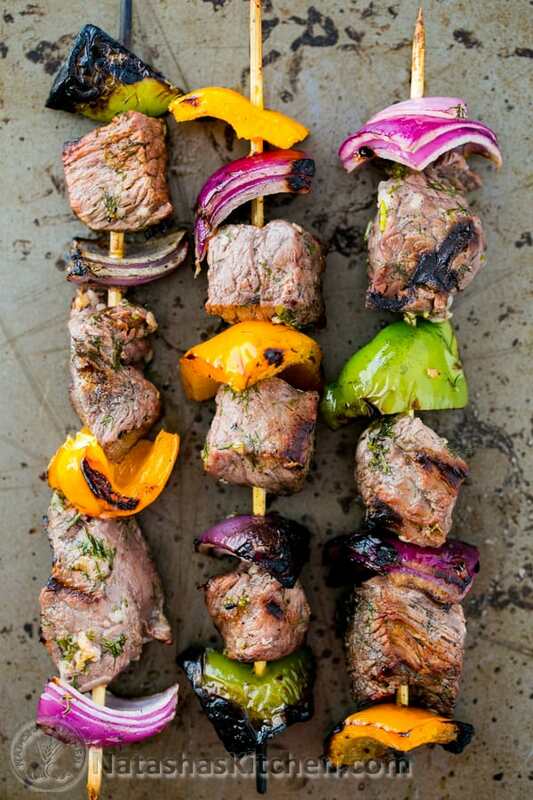 Beef skewers are a little tricky to master. 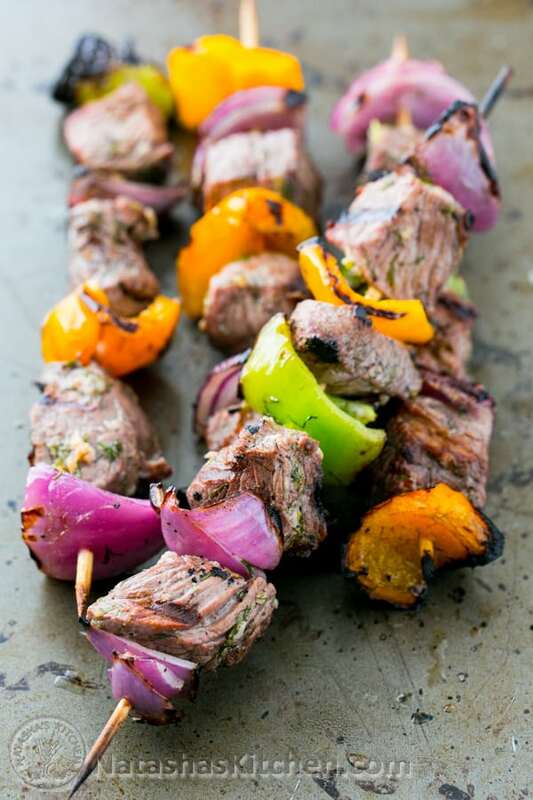 The key is to give your kabobs plenty of time to marinate and don’t rush it! I like to marinate at least 4 to 6 hours. My sister’s families stopped by to enjoy these shashlik and folks were going back for seconds! I served them with buttery corn on the cob and roasted baby red potatoes. 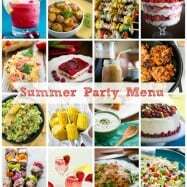 It was a perfect and simple summer BBQ menu. Read on for the recipe and to get our best tips for great BBQ! 1. Using bamboo or wood skewers is best. The heat from a metal skewer can start cooking your meat from the inside, ruining that juicy pinkness that you might desire. 2. Soak your wooden skewers in water at least 30 minutes so they don’t scorch or burn completely on the grill. 3. Don’t crowd your skewers. You want a little space between your meat and veggies so your food grills on all sides. 1. 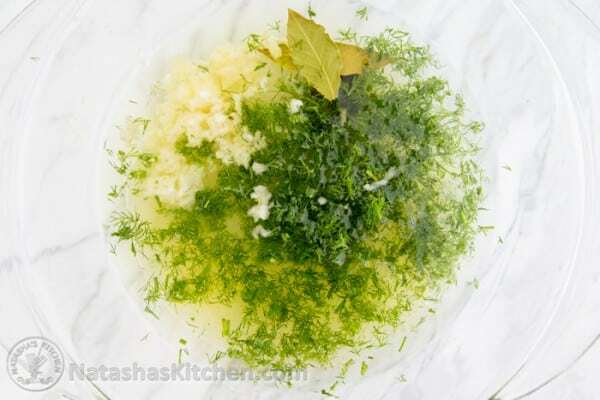 Combine all of your marinade ingredients in a large glass or plastic bowl (do not use aluminum) and stir to combine. 2. 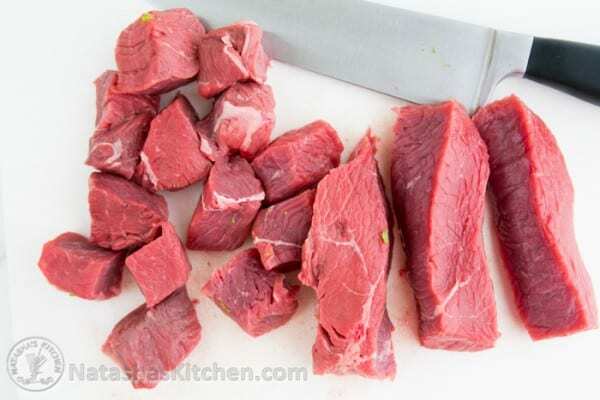 Slice meat and transfer it into the marinade bowl, stirring well to coat. 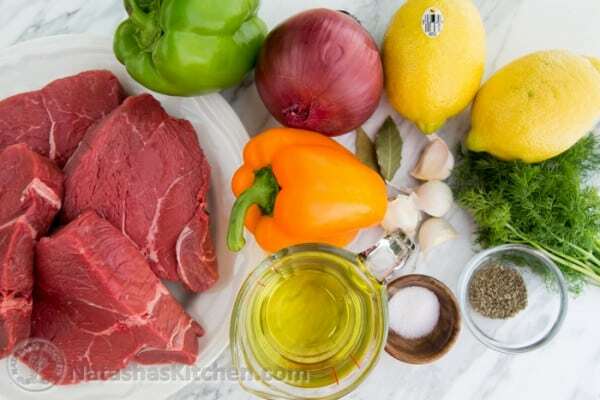 Marinate beef in the refrigerator 4 to 6 hours, stirring a few times while marinating to make sure meat is evenly marinated. 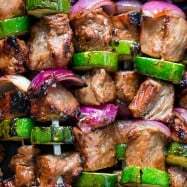 Sometimes after long periods of refrigeration, the oil in the marinade can firm up a bit; it will liquify again if you let the marinated meat sit at room temp 30 minutes before skewering. 3. Soak bamboo or wooden skewers at last 30 min before skewering. 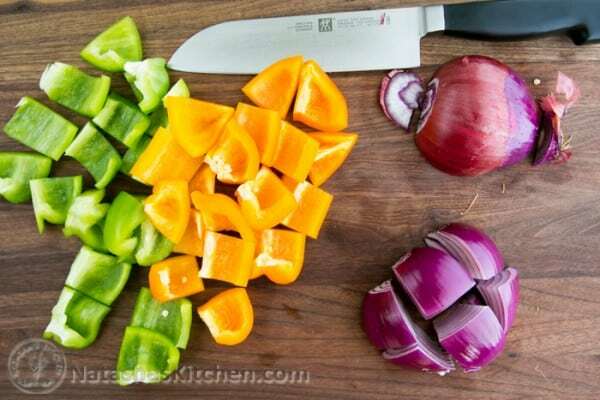 After the meat is done marinating, slice veggies and skewer them with meat onto Bamboo skewers. 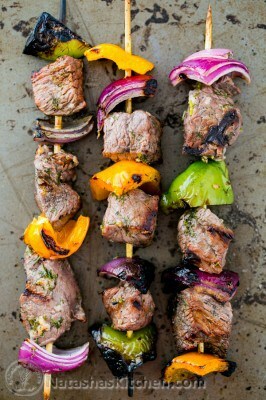 Brush/ pour remaining marinade over skewers. 4. Grill steak kabobs over med/high heat for about 8-10 minutes or until you’ve reached the desired doneness, rotating every 2-3 minutes for even grilling. Remove kebobs from grill and let them rest at least 5 minutes before eating. 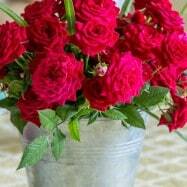 If you cut into them right away, they will juice out and end up dry. Come on little guys, you can scoot off that skewer right into my mouth (after a quick dunk in the A1 sauce) #yum. 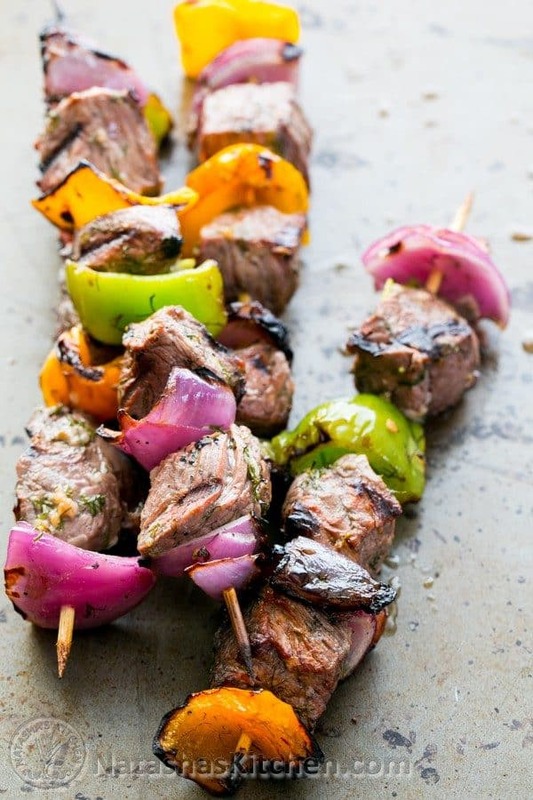 The key to great kabobs is to give your meat plenty of time to marinate and don't rush it! I like to marinate at least 4 to 6 hours. 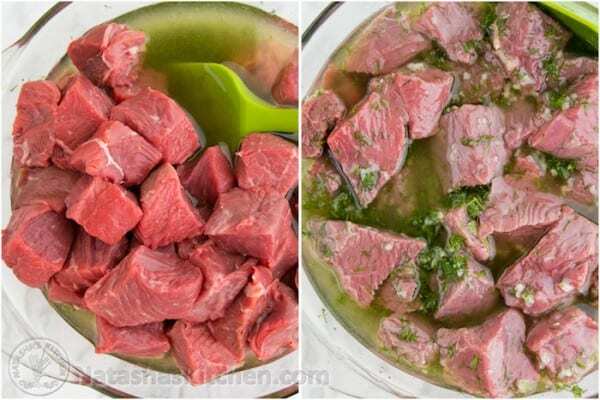 Slice meat and transfer it into the marinade bowl, stirring well to coat. Marinate beef in the refrigerate4 to 6 hours, stirring a few times while marinating to make sure meat is evenly marinated. 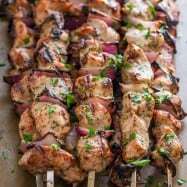 Note: Sometimes after long periods of refrigeration, the oil in the marinade can firm up a bit; it will liquify again if you let the marinated meat sit at room temp 30 minutes before skewering. 2. 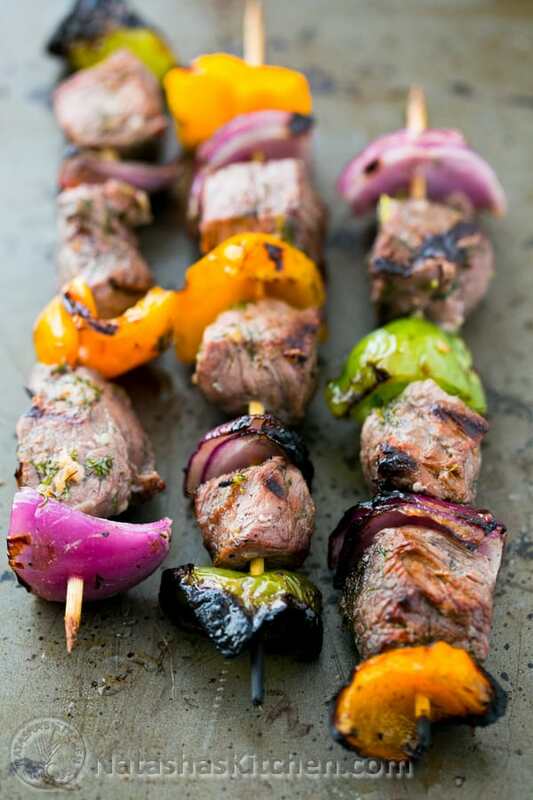 Soak your wooden skewers in water at least 30 minutes so they don't scorch or burn completely on the grill. 3. Don't crowd your skewers. You want a little space between your meat and veggies so your food grills on all sides. Credits: Marinade adapted from the Russian Tea Room Cookbook’s recipe for Karskiy Shashlik (I added more garlic and more dill). The original recipe calls for various parts of Lamb to be used in leu of sirloin and does not include veggies. I tried this recently and I absolutely loved it! I added about 1/2 Tbsp of balsamic vinegar for some extra tang and acidity (though this isn’t necessary), and I threw some cherry tomatoes on the skewers too only because they are SO juicy and delicious when grilled. 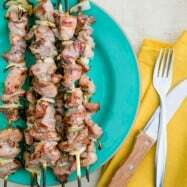 I confused on whether I marinate the meat as a slab or marinate as cut up for the skewer.